Writing in Ancient Rome was a lot different then it is today. Today you can just type on a computer and print it out. Back in ancient Roman times, they had to write on a similar form of paper called papyrus. 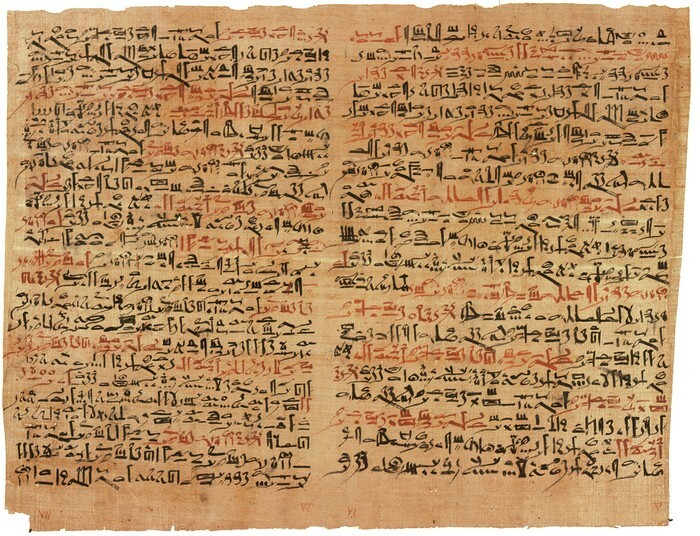 Papyrus was made from the Egyptian papyrus plant. Making this paper was an expensive process. One sheet cost the daily wage of an unskilled worker. To write on this type of paper you had to use a quill and ink. Even though the weather conditions were dry and hot, documents on papyrus lasted a long time. Another form of the writing process was writing on wooden tablets covered in a wax layer. You wrote on these tablets by carving letters with a stylus. Other forms of writing included carving on stone, painting on walls, and writing on pieces of pottery. Writing was much harder back then than it is now. The Roman family was very different then today's family. The father was the sole head of the household. He had all of the legal power and the mother was considered lesser to him. She did not gain legal custody of the children until divorce. 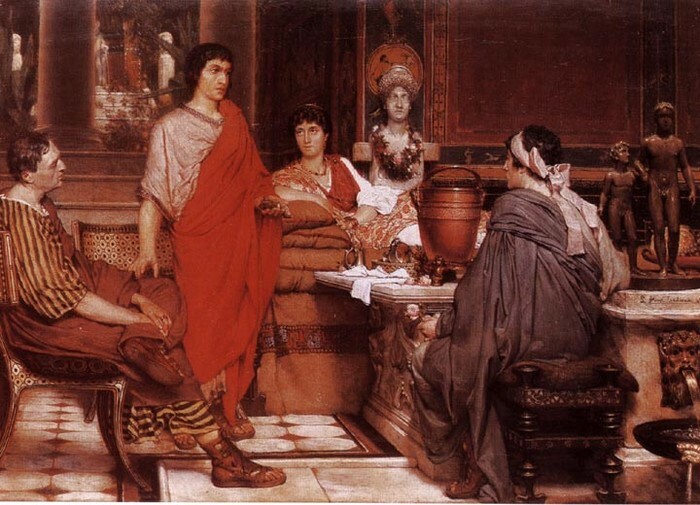 Another major difference from Roman and modern families was that there were arranged marriages. The father also had a lot of power over the children, it was the he who decided whether or not to raise the child. If the family could not afford to support the child, it was rejected. The child was also not acknowledged by the father until nine days after it was born. This was because many babies died before they lived to be nine days. The most important part of the Roman naming system, was the family name. Men had three names. First came the praenomen, then the nomen, and lastly, the cognomen. The most popular praenomens were Gaius, Lucius, Marcus, Publius, and Quintus. This name was usually abbreviated. The Cognomen usually identified you as the member of a certain family. This name was inherited and derived from family characteristics. Characteristics such as physical traits, occupation, or place of origin. Women did not have a praenomen. Also, women did not change their name when they got married. Non-citizens and slaves had one name. When slaves were freed they took the nomen and praenomen of their liberator. Their original name became their cognomen. For men, the toga was very symbolic. Different togas meant different things. 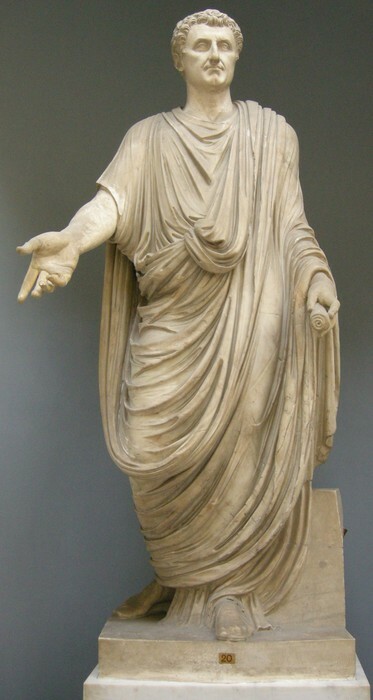 The toga pura or toga virilis was the finest toga that could be worn. These two types of garments were worn by males sixteen and up during the Roman Republic. Before males were sixteen, they wore the toga praetexta. This had a purple border and was also worn by certain priests or magistrates. 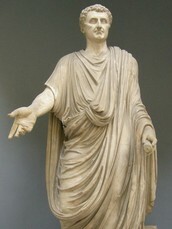 The toga candida was bleached white and worn by political candidates. The toga picta had gold embroidery and was worn by victorious generals, and others with high honors. 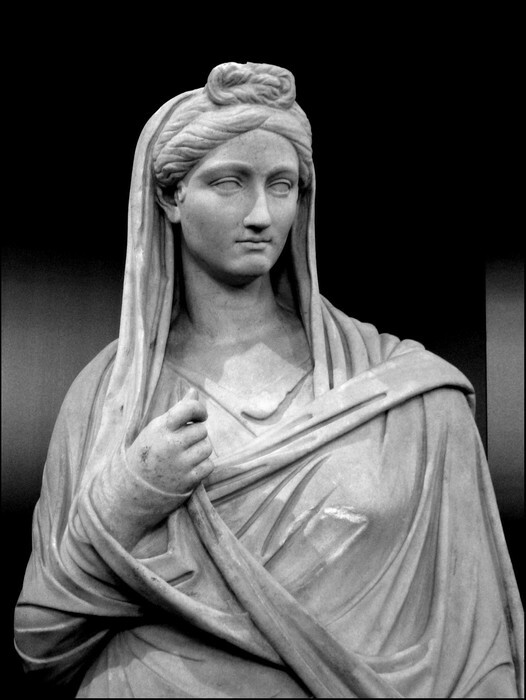 The toga garment was worn over a tunic, and wrapped around the body. 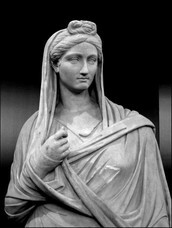 The toga was wrapped over the left shoulder and under the right arm. In addition, propriety stated that men wore a ring with a personalized symbol. This was used to make documents official by creating an impression on sealing wax. These rings were also used as keys and a way of proving identity. Some men wore several rings, even though it was not considered proper. Brooches were also wore to stabilize togas. Articles called bullas were also worn. These were neck chains with pouches to keep protective amulets. Within the upper class, bullas were made of gold. In conclusion, all garments were symbols of your age, social status, or occupation. Young girls wore the same thing as young boys, the toga praetexta. This was worn with a necklace and a vitta in the hair. A vitta was a white strand of wool that symbolized purity. Brides wore a tunica recta. This was a white tunic, along with a orange or yellow hairnet, was woven on an upright loom. Brides also wore a belt made of wool from a female sheep, around the tunic. Married women wore a stola-dress with straps over the shoulders. This dress had specific rugae, or folds. Married women also wore a palla, or cloak over their head. Under the palla, their hair would be fixed with fillets. The dress for both men and women was very different then it is today. "Writing and Language." World Eras. Ed. John T. Kirby. Vol. 3: Roman Republic and Empire, 264 B.C.E.- 476 C.E. Detroit: Gale, 2001. 170-172. World History in Context. Web. 6 Oct. 2015. "Family." The Greenhaven Encyclopedia of Ancient Rome. Don Nardo. San Diego: Greenhaven Press, 2002. 153-155. World History in Context. Web. 6 Oct. 2015. "The Dress of Roman Women." Arts and Humanities Through the Eras. Ed. Edward I. Bleiberg, et al. Vol. 2: Ancient Greece and Rome 1200 B.C.E.-476 C.E. Detroit: Gale, 2005. 106-109. World History in Context. Web. 7 Oct. 2015. Tortora, Phyllis. "Toga." Encyclopedia of Clothing and Fashion. Ed. Valerie Steele. Vol. 3. Detroit: Charles Scribner's Sons, 2005. 329-331. World History in Context. Web. 7 Oct. 2015. McManus, Barbara F. "Roman Clothing, Part I." Roman Clothing, Part I. VROMA, Aug. 2003. Web. 14 Sept. 2015.